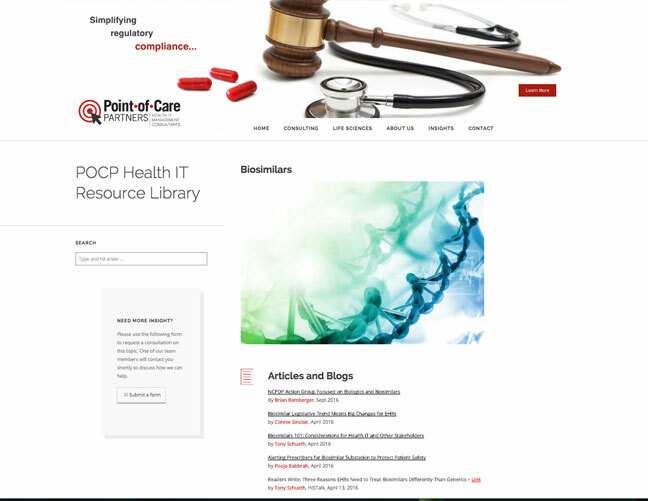 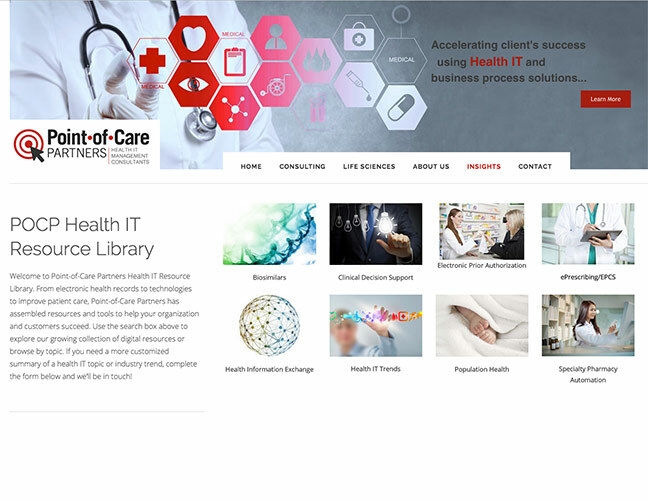 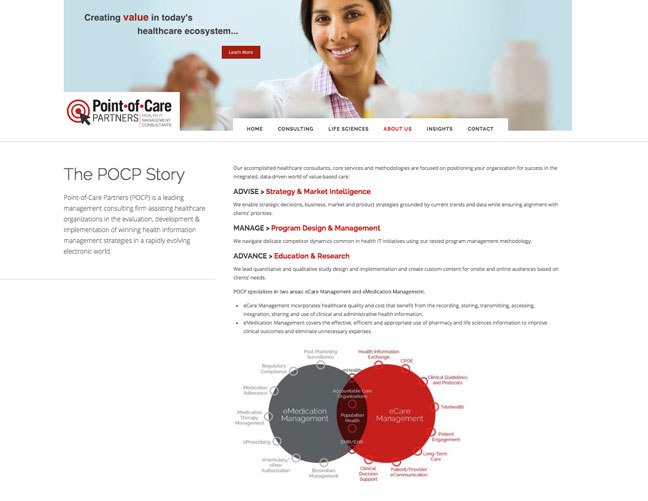 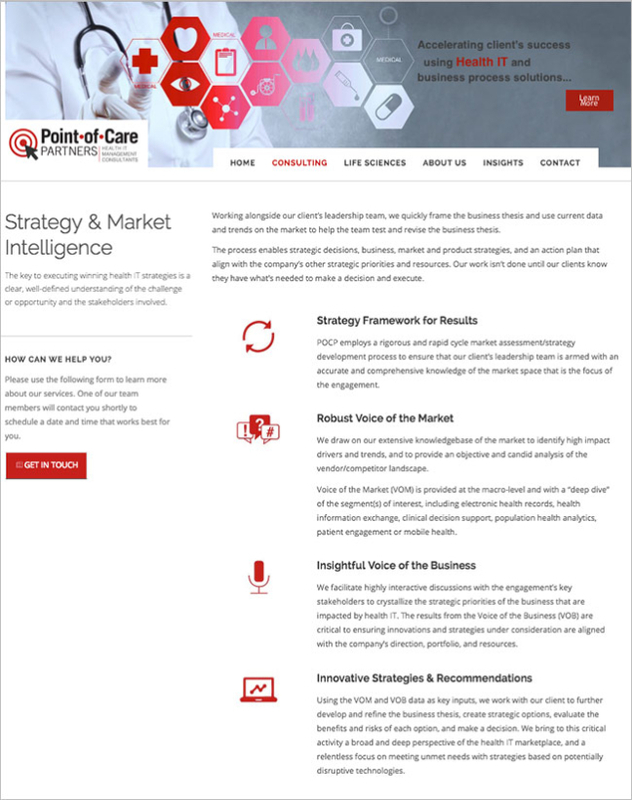 Redesign and Creative Direction for new website for Point-of-Care Partners, a health IT consulting company. 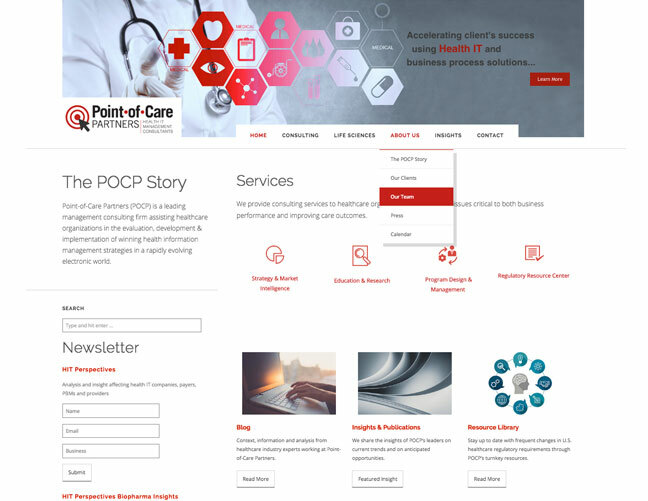 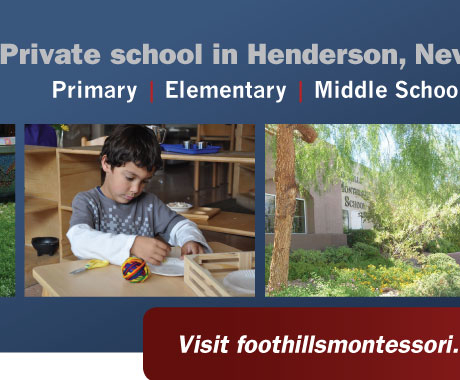 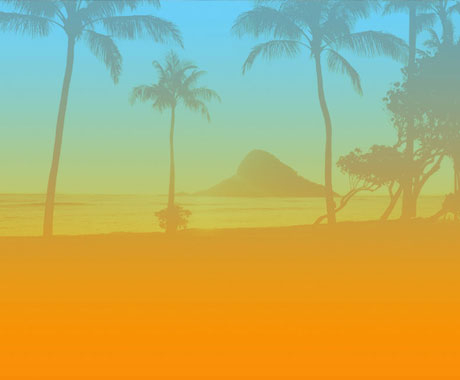 Assisted with site map, prototyping, responsiveness, graphic development, color palette, typography, and work on continued development of added features and updates, such as forms, video, information graphs, etc. 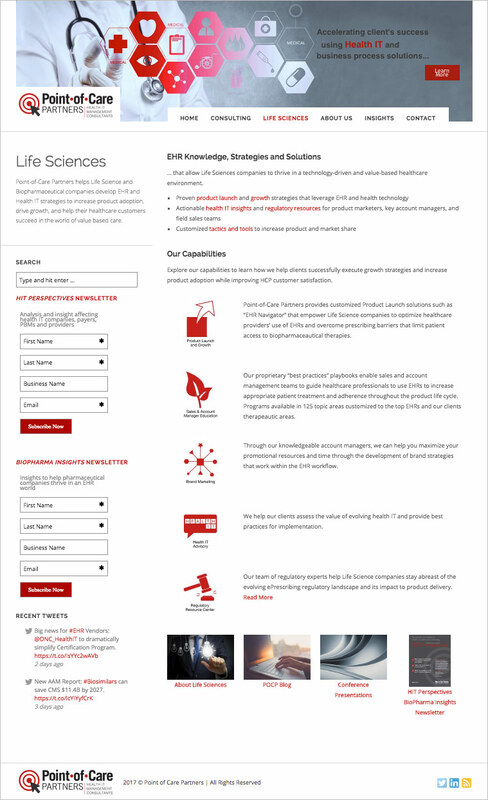 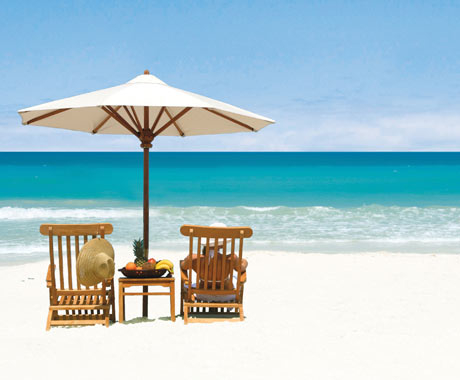 Additionally developed the rebrand of company’s logo and branding guidelines.